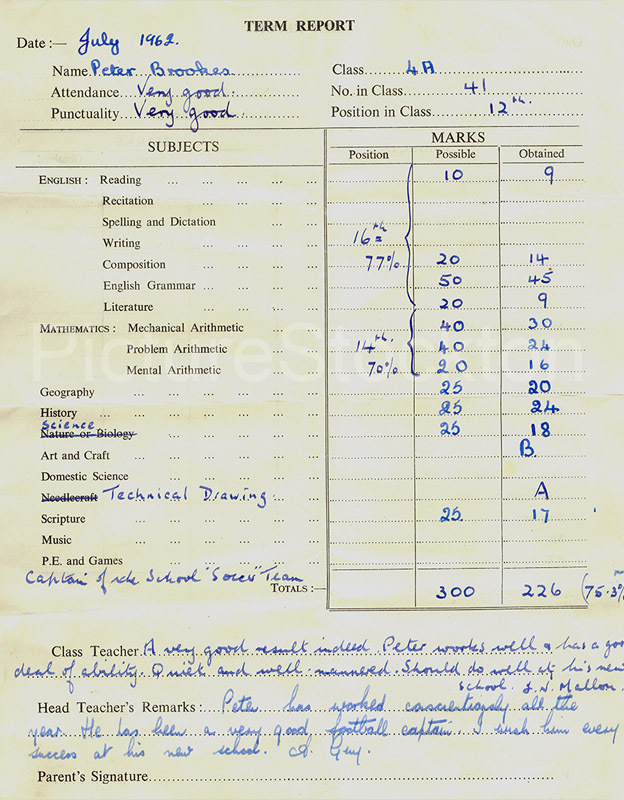 End of term report for Peter Brookes – Class 3A, July 1961 and Class 4A, July 1962, Oxbridge Lane School. Images and details courtesy of Peter Brookes. Peter, same class as you. 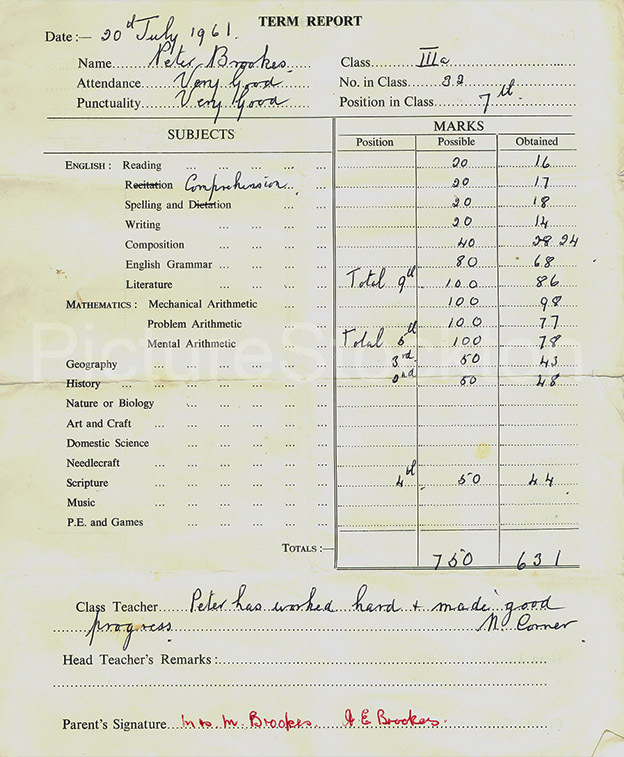 The names of the teachers at the bottom of your reports I remember as though yesterday, even if nearly 60 years ago. Miss Corner, Mr Mallon, who eventually become headmaster and Miss Guy who was headmistress. Remember Miss Dee ?, all very formidable teachers, but Oxbridge was a good school. I presume Miss Corner was Scottish, as I always to this day remember her pronounciation of food as fud. No disrespect to Scottish intended.